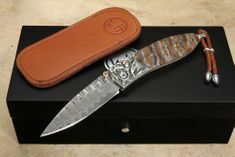 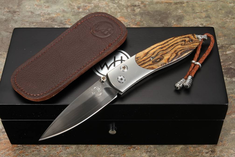 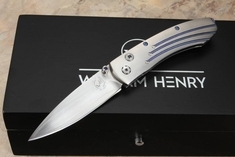 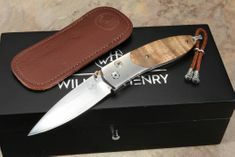 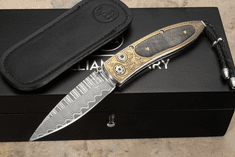 The William Henry B05 Monarch Series knives are limited edition knives, with individually numbered knives that are truly collector's items. 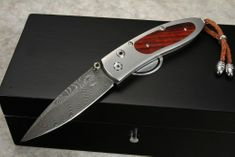 The knives utilize a button lock construction along with thumb lugs for easy one-handed opening and closing. 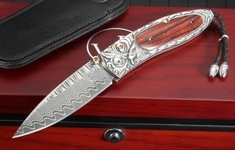 The Monarch knives have a drop point blade shape, hollow ground to a razor sharp point. 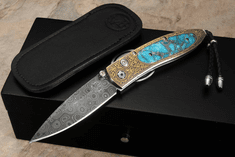 Each B05 Monarch knives are 5.8-inch (open) with 2.6 inch blades - works of art that can be easily carried in either your pants pocket or shirt/jacket pocket.